Firm: Kell, Alterman & Runstein, L.L.P. Dennis Steinman offers clients legal advocacy and counsel on numerous aspects of local, state and national employment law, including discrimination, sexual harassment, wrongful termination, employee grievances and arbitration, compensation, and employee handbooks and manuals. He works with employees who may have experienced unlawful discrimination or mistreatment in the workplace, including wage and hour violations, wrongful termination, and other difficulties. He’s also one of Oregon’s best civil rights lawyers, and is widely recognized for his litigation under the Americans with Disabilities Act (ADA). When he started practicing, Dennis was the only Oregon lawyer fluent in American Sign Language. Dennis is a leading franchising and commercial lawyer, managing his practice with a broader perspective than many business lawyers. He was a franchise executive for nearly 20 years, and he also owned five franchises of his own, giving him experience in both sides of the business. “I’m one of few highly skilled franchise lawyers,” says Dennis, “and I’m certainly one of the very few—if any—who has been part of the franchise culture itself. Because of this, I can give my clients insights into every aspect of the franchise relationship—from both the legal and business perspectives.” Dennis uses his nuanced understanding of franchising to advocate on behalf of his clients while steering them through the finer points of franchise law that other lawyers often overlook. In addition, Dennis has been an adjunct professor of law at Lewis & Clark Law School, where he taught federal litigation. He’s also a former member of the board of directors for the Oregon Advocacy Center (presently known as Disability Rights Oregon), and has written several articles on and frequently speaks about the legal importance of the ADA and the Fair Housing Act. Raised in Manhattan, Dennis moved to Portland in 1976 to pursue a business opportunity in franchising. He attended Lewis & Clark Law School as a means of furthering his business expertise, but decided instead to open a private practice. He later joined Kell, Alterman & Runstein, L.L.P., impressed by the firm’s dedication to legal excellence, personal service, and community commitment. He enjoys a reputation as a zealous advocate of clients’ rights with a strong attention to detail. 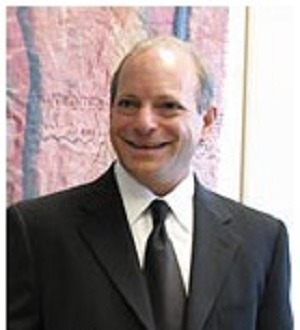 He’s also known for blending practicality into his practice, often exploring less divisive and expensive alternatives to litigation such as mediation or arbitration. In his off hours, Dennis is a travel enthusiast and dedicated food, wine, and music lover, and he often combines those pursuits while visiting Europe and other continents. Dennis also lived in Rome and for years explored the oceans of the world as an avid scuba diver.